Nigeria, the most populous of modern African states, and potentially the strongest, also possesses richer evidence of its artistic past than any other section of the continent south of the Sahara. The most ancient of the Nigeria area cultures known to us, is also that which least knowledge has been available. 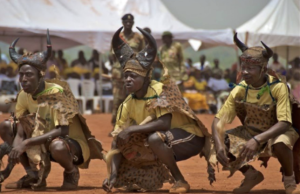 This is the ancient iron-working culture, known as the Nok culture, whose remains, of remarkable artistic value, have been coming to light in the ‘Middle Belt’ region of Nigeria for many years now. The term ‘Middle Belt’ usually refers to the country around and to the north of the Benue and the Niger. 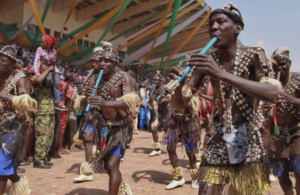 It is the home of the many tribes who lie between the Igbo and Yoruba in the south, and the Hausa and Kanuri of the ancient states and cities of the Northern savannah. The Middle Belt includes the valleys of the Benue and the Niger as far as their confluence. WHERE IS THIS PLACE CALLED NOK? The little settlement called Nok village is located in Jaba Local government down in the southern part of Kaduna State, up in northern Nigeria, which frequently attracts visitors. There is no doubt as to Nok’s universal fame, across the academia and all over the world. Antiquities from Nok adorn great museums and galleries across the globe in different parts of the world. Because all of the research done has only centered on the Magnificent art work of the Nok terracotta, nothing has been discussed about the Nok people. This has led to a false conclusion about the Nok people. Contrary to some school of thoughts that has eluded to the false extinction of the Nok people. Some literature publications have distorted facts about the Nok people and suggested that, the people of Nok village mysteriously vanished in about 200 AD. This tend to insinuate as though the Nok people were some kind of dinasours. Even though several research work has been done on Nok and Archaeologists have travelled to and met the Nok locals who have told the stories of their ancestors passed on to them on the origin of the Nok people and the Nok head from generation to generation. In the same vien distorted literatures have also laid false claimed not to know what the people of Nok called themselves or the language they speak. From all empirical evidence of the existence of the Nok people in the present day Nok village where the original and first Terracotta figurine was found and named after the village called Nok hence the name “NOK TERRACOTTA” synonymous with “NOK CULTURE” . These evidence without doubt reveals the fact that the Nok people still exist and have not been extinct as believed. The people of Nok were known for their extremely advanced social system and were the earliest producers of life-sized Terracotta in the Sub-Sahara. The Nok Culture is the number one magnificent art and history of African civilization. The Nok civilization was discovered in 1928 due to tin mining activities at a site in the Nok area and earned it’s name due to the Nok civilization that inhabited the area from around 500 BC. Furthermore, to dispute the assertion of non-lingual tongue of the people of Nok, suffice it to say that the Nok people spoke and still speak the language called Ham otherwise called Jaba which is a language spoken amongst the Ham ethnic groups. Ham land or Jaba land spread across different settlement in southern Kaduna and other Middlebelt and Northern States which was believed to bear common ancestry lineage. The Nok Terracotta has become the symbol of the Ham people also known as Jaba people. Nok is part of Jaba Local Government Area (LGA). The seat of Jaba local Government Council is Kwoi, which like Nok falls among the numerous settlements in some 21 Districts occupied by the Ham ethnic group. The Ham nation, straddles four LGAs, Jaba, Jema’a, Kachia and Kagoro in the southern part of Kaduna States, Nigeria. The Hams are aborigines of Nok, Kwoi, Zshiek (Kurmin Musa) Dung (Jaban Kogo) Chori, Fai, Ketere, Sambang Gida, Sambang Daji and other Ham settlements in the southern part of Kaduna State. Like many peoples of northern Nigeria, the Hams, who are neither Hausa nor Fulani, have also adopted the Hausa language as part of their lingua franca. The Hausa Language is the Language commonly spoken in the Northern region of Nigeria. The Hausa Language to a greater extent has diluted and adulterated the lingual tongue of the Ham language often mutually intertwined or used interchangeably amongst younger generation that did not grow up with the native lingual franca hence the fading away of the Ham Language. The extent to which Hausa has permeated Ham culture could be gleaned from the titles of six district heads of Jaba: “Wakili,” “Wambai,” “Tafidan,” “Dalhatu” and “Kuyambana.” These are all Hausa-Fulani epithets, threatening the extinction of the indigenous tongue, given the popularity of Hausa among the Ham? The Kpop Ham noted the concern that “We are trying our best to preserve our language.” Part of that effort was the setting up of a Hyam Literacy Organization (HLO), to help propagate and produce literature in that indigenous tongue, the monarch explained.